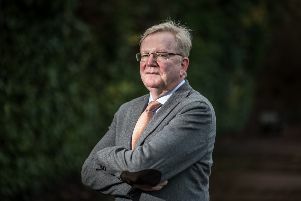 Last month, the Extra revealed the Scottish Environmental Protection Agency had launched a probe into a potential partner in the scheme, private company Advance Construction Scotland Ltd. The firm had already received two ‘final warnings’ from the environmental watchdog. Now the Information Commissioner has been drawn into the saga too. The Commissioner will look into the way the council responded to a Freedom of Information request from a local resident. Campaigner Paul Drury, of Giffnock, was told there was ‘nil’ information on the council’s database about contact with anyone related to the Quarry between March and October last year. Yet Mr Drury said out thatwithin days of him receiving his reply, the council’s director of environment Andrew Cahill produced a report to the council, announcing the conclusion of “collaborative and very positive discussions” with Lanarkshire firm Advance Construction Scotland. 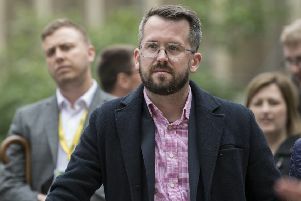 In his appeal to the Scottish Information Commissioner, Mr Drury said it was impossible such discussions could take place without a letter, email, text message, minute of a meeting, diary entry or recorded telephone conversation. Mr Drury said: “If the council is to be believed, this was a ‘phantom’ report produced by Mr Cahill, with no trace of anything. I do not believe you can kick off discussions on a 400-home development on a site of huge environmental importance without any kind of a paper trail. “The council denied any recorded contact with this company to me on October 2 yet 23 days later, Mr Cahill was suggesting they partner Advance Construction in a major report to the council. Mr Cahill’s report in October, which recommended the tie-up, did not include that Advance had previously received two ‘final warning’ letters from the Scottish Environment Protection Agency. The disused quarry neighbouring Huntly Park is known to contain a cocktail of poisons, including Nickel, Cadmium, Zinc and Lead. Independent Councillor David Macdonald wrote to Mr Cahill and council chief executive Lorraine McMillan, calling for the deal with Advance to be suspended. A spokesman for the Scottish Information Commissioner said: “I can confirm that the Commissioner has begun an investigation into East Renfrewshire Council’s handling of this request. An East Renfrewshire Council spokesman said: “We are aware of an ongoing appeal and it is now for the Office of the Scottish Information Commissioner (OSIC) to review the matter and make a judgment.